Stand Up Comedy returns to Juggernaut !!! 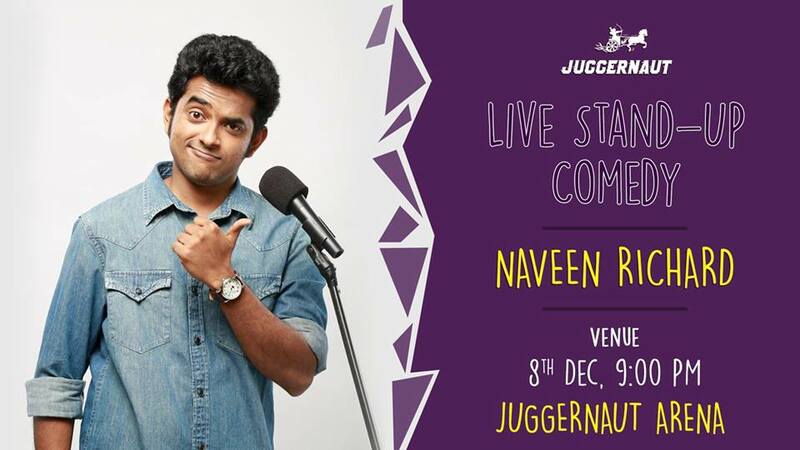 Get ready to meet one of India’s most versatile Comedian with a Swag – Naveen Richard. He has been in the stand-up comedy circuit for over 5 years and has performed over 300 public and private shows across the country.